You are at:Home»iPhone»How To Clean Your AirPods – The Best & Safest Way! Your Apple AirPods are dirty and they need to be cleaned. You may experience decreased sound quality or charging issues if there is any lint, gunk, wax, or other debris in your AirPods. 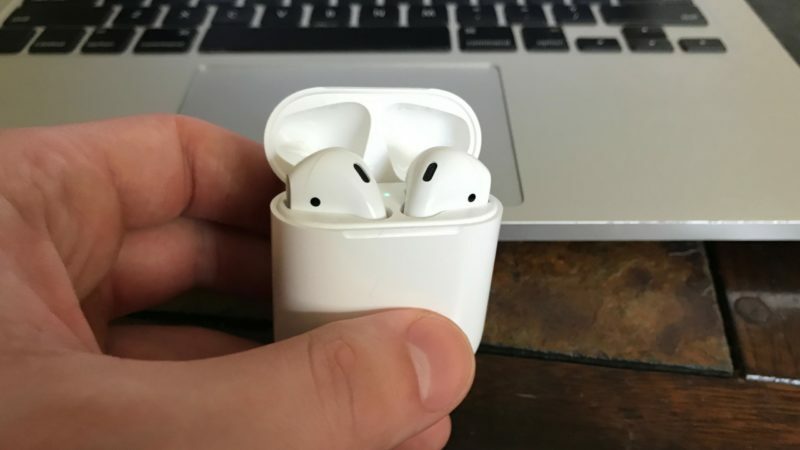 In this article, I’ll show you how to clean your AirPods the safe and most effective way. When cleaning your AirPods, you have to be extra careful because of all the small components which give your AirPods functionality. Inside the AirPods is a custom W1 chip which controls battery life, maintains the wireless connection, and assists in regulating sound. When cleaning your AirPods, remember to be gentle so you don’t damage this internal chip which is so vital to the functionality of your AirPods. When cleaning your AirPods, it’s important to use a tool that won’t break off inside your AirPods and a tool doesn’t conduct an electric charge. Items like toothpicks (which can splinter) or paperclips are things to avoid when cleaning your AirPods the safe way. You should also avoid using products like solvents and aerosol sprays because these may get moisture into the openings of your AirPods. The best way to clean your AirPods is by using a microfiber cloth and a small, anti-static brush. When you go to clean your AirPods, begin by wiping them down with the microfiber cloth. If more compact debris such as lint, dust, or gunk is still stuck in your AirPods, gently brush it out using your anti-static brush. Anti-static brushes are used by Technicians at the Apple Store and can be bought on Amazon for as little as $5. 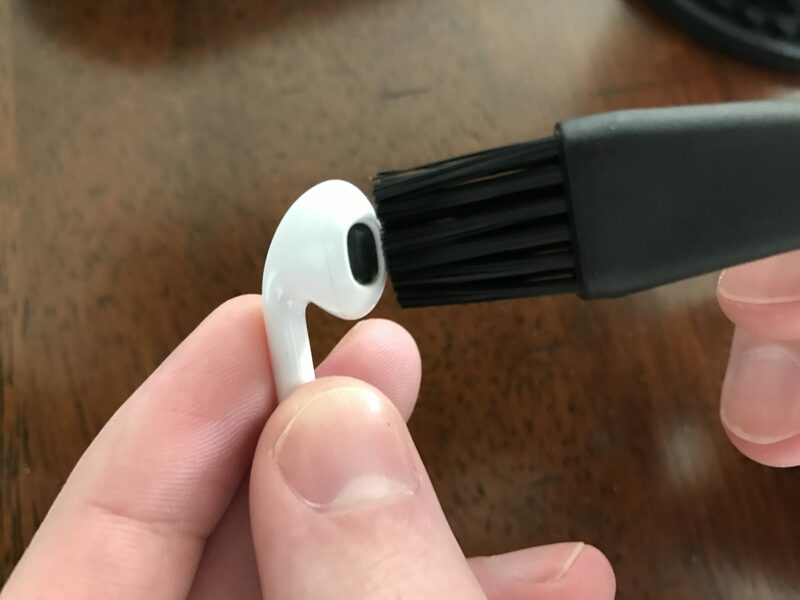 If you don’t have access to a anti-static brush, you can also use a brand new toothbrush or regular Q-tip to clean out gunk in your AirPods. Your AirPods Are Good As New! Your AirPods are clean and look like you just took them out of the box! Now you know exactly how to clean your AirPods the best and safest way. Thanks for reading our article and we’d love if you shared it on social media or left us a comment down below if you have any further questions. Previous ArticleInstagram Won’t Load On WiFi? Here’s The Real Fix For iPhones & iPads! Next Article How Do I Make Ringtones For An iPhone? The Expert Guide!